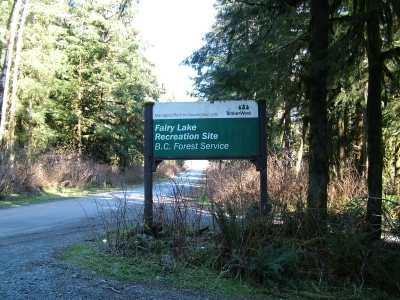 Located three kilometers from Port Renfrew, Fairy lake is a tidally affected fresh water lake which feeds directly from and into the San Juan river and estuary. An excellent fishing spot, it is not unusual to see anglers out in the early mormning and evenings trying their luck for Cutthroat Trout and Dolly Varden, and returning Salmon. There is an excellent campsite provided, with a nice sandy beach. 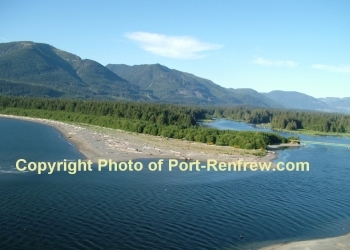 Perfect for a family camping adventure, it is close to Port Renfrew, groceries, liquor stores, fishing supplies, the west coast trail information centre and more. Further information can be found by going to the BC Forest service recreation web site. Located at the tip of the Juan de Fuca trail, Botanical Beach Provincial Park has always been a popular spot for the observation of marine life species. There are numerous tidal pools with abundant shellfish, anemones, and starfish. You may also see seals, sea lions, otters, eagles, and even bears. From the Genus Pseudotsuga menziesii, Port Renfrew contains the largest one in the entire world, it is an exciting hike, or off road drive. Accessible off of west coast road, it is a beautiful and quiet trail that is well worth the hike. The trail follows the track of an old plank road built in the early ‘40s for hauling out timber. The road, which was built strong enough for big trucks and heavy loads, was not disassembled until after logging was completed. You can still see obvious remains. The trees you will see are a mixture of 50-year-old hemlock, balsam, cedar and alder.